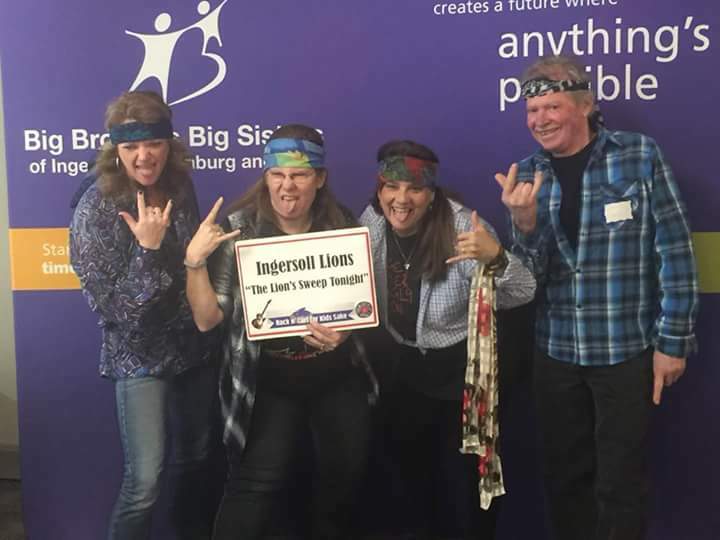 Introducing the Lions Sweep Tonight team from left to right: Cub Hilda, Lion Dawn, Lion Nicole and Lion Bill at the Big Brothers Big Sisters curling event Feb. 3rd 2018, in Ingersoll. ..we rocked it !!!!! The theme was Rock and Roll. We had and awesome time for a great cause.